Neuroimaging, Part Two, a volume in The Handbook of Clinical Neurology series, illustrates how neuroimaging is rapidly expanding its reach and applications in clinical neurology. It is an ideal resource for anyone interested in the study of the nervous system, and is useful to both beginners in various related fields and to specialists who want to update or refresh their knowledge base on neuroimaging. This second volume covers imaging of the adult spine and peripheral nervous system, as well as pediatric neuroimaging. In addition, it provides an overview of the differential diagnosis of the most common imaging findings, such as ring enhancement on MRI, and a review of the indications for imaging in the most frequent neurological syndromes. The volume concludes with a review of neuroimaging in experimental animals and how it relates to neuropathology. It brings broad coverage of the topic using many color images to illustrate key points. Contributions from leading global experts are collated, providing the broadest view of neuroimaging as it currently stands. For a number of neurological disorders, imaging is not only critical for diagnosis, but also for monitoring the effect of therapies, with the entire field moving from curing diseases to preventing them. 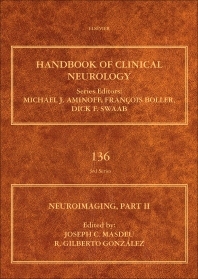 Most of the information contained in this volume reflects the newness of this approach, pointing to the new horizon in the study of neurological disorders.